We’d love your help. Let us know what’s wrong with this preview of The Medium Path by Elizabeth Davies. To ask other readers questions about The Medium Path, please sign up. The Medium Path by Elizabeth Davies was generously provided to me in exchange for an honest review by the author. It is Ruby Anderson’s birthday. Well, it would be if she were still alive, and she would be one hundred and three years old. But she’s not alive, she hasn’t been for eighty five years. But she didn’t go into the light either, when she died. Ruby is a spirit guide. 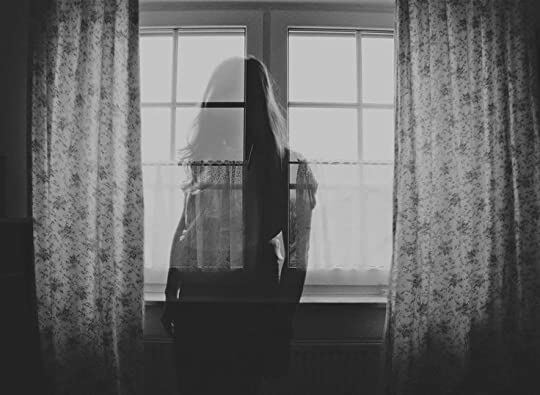 She was able to see ghosts when she was alive and was deemed mentally ill. Upon death, she was kept on earth to help guide The Medium Path by Elizabeth Davies was generously provided to me in exchange for an honest review by the author. It is Ruby Anderson’s birthday. Well, it would be if she were still alive, and she would be one hundred and three years old. But she’s not alive, she hasn’t been for eighty five years. But she didn’t go into the light either, when she died. Ruby is a spirit guide. She was able to see ghosts when she was alive and was deemed mentally ill. Upon death, she was kept on earth to help guide others that have passed on into the light when they are reluctant to give up their life force and go on their own. When Ruby isn’t busy helping others go into the light, she visits with a couple of local mediums that are able to see ghosts. These aren’t the flamboyant types of mediums that you would see on television but people that have a gift and quietly help others that would benefit from their ability. There are also a couple of other spirit guides nearby that she can visit with. There are rules for spirit guides, one if which is that they are not ever allowed to alter or interfere with anything human. Ruby is content enough with this existence; she really doesn’t have a choice. But then she met Michael. Michael can also see ghosts, he is a medium. But he thinks he is crazy. He doesn’t want this ability. When Ruby died, she had never experienced love or lust or any of the things young women take for granted. But as soon as she saw Michael, she longed for all she had missed. She spends time with Michael and helps him to understand and accept his ability. And in the process, she fell in love. At the same time, as Ruby was attempting to help some reluctant ghosts into the light, they were suddenly taken by something dark. Where did they go? How did it happen? Ruby, Michael, the other mediums and spirit guides all get together to try to figure out who or what is taking the ghosts and to figure out how to stop them. This book is a very unique story. I’ve never read anything quite like it before. It is both a sweet romance and a suspenseful one as they try to solve the mystery. And wow, what an intense ending. I was on the edge of my seat and my heart was beating like crazy. This is my second book by Elizabeth Davies, I previously read The Spirit Guide and loved it. So, if you are a fan of ghostly romances with a healthy dose of suspense, this book is definitely for you. I hope you enjoy it as much as I did. An arc of this book was provided by the author. Another great read from the author. I loved The Spirit Guide, so it was nice to see another book written. Thank god George was mentioned as he was a favourite character of mine. It was a completely different ending than the first book, and although I liked it, I still like the first one better! Ms Davies, thank you for an amazing read. It was gripping, poignant and beautifully written. The Medium Path is a captivating ghost story which tells the story of Ruby, a spirit guide, who enlists the aid of other spirits as well as mediums to help her find out why spirits are being taken by darkness. Ruby is determined and intelligent, and makes up for her lack of body with her wit and ingenuity. Michael, a reluctant medium, helps Ruby in her quest while struggling to balance his spiritual side Ms Davies, thank you for an amazing read. It was gripping, poignant and beautifully written. Ruby is determined and intelligent, and makes up for her lack of body with her wit and ingenuity. Michael, a reluctant medium, helps Ruby in her quest while struggling to balance his spiritual side and growing feelings for Ruby with his personal life. Nothing is as it seems and I was irresistibly drawn into Rachel and Michael’s mystical world full of intrigue, danger and love. I love how Ms Davies used the same world as her previous book, ‘The Spirit Guide’, and wove some of the characters into the story (though it is not necessary to have read the book to follow this story). The plot was suspenseful and unpredictable with a perfect balance of romance and mystery. The well written scenes and details captured my imagination and painted vivid images in my mind of the characters, their actions and surroundings. Though I did find it a little slow in the beginning due the world building and character development, it does picks up after that and kept me hooked until the surprising yet satisfying end. Michael had burrowed under my defences, catching me unawares, felling the walls I erected to protect myself, and now I was as open to the emotional elements as a house without a roof was to the rain. Feeling nothing was better than being full of savage emotions I had no idea how to control, turning me inside out and tearing my heart to shreds. I screamed, guttural and hoarse, sending shocks of adrenaline shooting down non-existent nerves, cramping hands and feet I no longer had, like an amputee missing a limb. I would highly recommend The Medium Path for those who love romance and ghost stories with a different twist. Ghosts, are they real? Can only gifted mediums see them, or perhaps the young who haven’t learned not to believe in anything “supernatural?” Ruby died long ago, but she often saw spirits or ghosts when alive. Now she travels the earth guiding lingering spirits to their final journey into the light. But why would a ghost linger on this plane, unable to communicate or be seen? Unfinished business? Love? Fear? 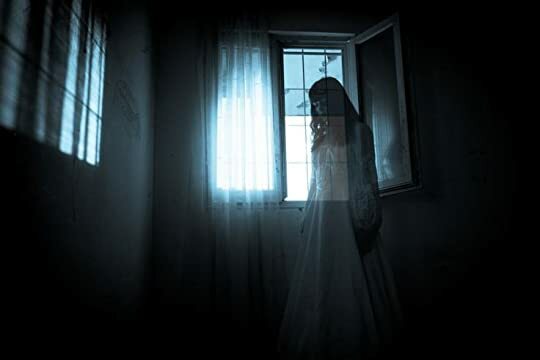 Not all spirits are going into the light, Ruby has discovered that some are being forced Ghosts, are they real? Can only gifted mediums see them, or perhaps the young who haven’t learned not to believe in anything “supernatural?” Ruby died long ago, but she often saw spirits or ghosts when alive. Now she travels the earth guiding lingering spirits to their final journey into the light. But why would a ghost linger on this plane, unable to communicate or be seen? Unfinished business? Love? Fear? Not all spirits are going into the light, Ruby has discovered that some are being forced into an evil darkness, but why? Who is behind this theft? With the help of mediums and those gifted with “the sight” Ruby must seek and destroy this vile darkness to save the spirits that have been stolen. One thing she never counted on was Michael, a medium who sees her as more than just a ghost, or a dead spirit walking the earth. Is it possible for love to finally have found Ruby, is it even right to feel what she does for a man among the living? Their worlds are far apart, yet the barrier is weakening, or is it their denial of their feelings? In spite of her confusing and seemingly wrong feelings for Michael, there are spirits to set free, spirits to send to the light and a dark force to conquer. But what if Ruby fails? Will she become another victim, herself? The Medium Path by Elizabeth Davies is equal parts ghost story, love story and intrigue as each scene plays out in vivid detail. Ruby may technically be around 100 years old, but she died before knowing of love, friendship and closeness. Her world is full of the lost; her job is to send them on to peace. This is NOT a tale of a Higher Being, this is a tale of one ghost doing her job and caring for those she knows, never really understanding why she was never allowed to move on herself. Was it to finally experience truly feeling alive? Elizabeth Davies hasn’t rushed her story, she has developed it carefully and completely while allowing her characters to take on lives of their own. With highly emotional moments, intriguing plot twists and a wonderful way with words, even the moments of humor are timed perfectly. A wonderful way to spend my “escape” time, falling into a fantasy where anything can happen, and it feels right! I received this copy from Elizabeth Davies in exchange for my honest review. What can I say about this wonderful book without giving the plot away! Ruby is a spirit guide & I immediately fell in love with her, an old soul in a young body. A medium when alive, she had a sadly short & sad life. As she was a medium, on her death she became a spirit guide. Her job to help the newly dead souls to pass on their life force to a living soul & then to pass into the light. Things are going as they should,until a darkness starts claiming the souls before they can pass to What can I say about this wonderful book without giving the plot away! Ruby is a spirit guide & I immediately fell in love with her, an old soul in a young body. A medium when alive, she had a sadly short & sad life. As she was a medium, on her death she became a spirit guide. Her job to help the newly dead souls to pass on their life force to a living soul & then to pass into the light. Things are going as they should,until a darkness starts claiming the souls before they can pass to the light. Ruby must work alongside other spirit guides & a few mediums to figure out what this darkness is & how to stop it. One of the mediums, Michael is a very reluctant medium, who wants nothing to do with dead people. As Ruby builds up trust with him, he agrees to help as you're really hoping he will. Michael is another character you immediately fall in love with, feeling his pain & confusion. All of the characters are so real & you really care what happens to them. I especially fell in love with Lucy, a teenage girl who died at the beginning of the book & her critically ill sister Kate & watching as their relationship improves after Lucy's death. The plot is full of unexpected twists & turns, every time you think you know what's going to happen, the author takes you off in another direction, usually culminating in another big surprise you never saw coming. There is a well balanced mixture of humour,friendship,romance, intrigue & deeply dark, slightly creepy characters, who also get under your skin. The story progresses through various twists & turns towards a dark & tense ending that comes as a complete surprise, which as with the rest of the plot is very clever, well thought out works on all levels. The Medium Path is my new favourite book & I strongly recommend it to anyone who loves a good book that pulls you in & doesn't let go until the very end. This is not just your ordinary paranormal story. The plot was something I've never read in any paranormal story before. It was also well written and intriguing. I was hooked from the very first page until the last one. I love the idea of spirit guides, life forces and the different kinds of spirits: guardians, ghosts and poltergeists. The spirits have their own interesting stories about their lives when they were still alive and the manner how they died. My favorite character aside from Ruby was This is not just your ordinary paranormal story. The plot was something I've never read in any paranormal story before. It was also well written and intriguing. I was hooked from the very first page until the last one. I love the idea of spirit guides, life forces and the different kinds of spirits: guardians, ghosts and poltergeists. The spirits have their own interesting stories about their lives when they were still alive and the manner how they died. My favorite character aside from Ruby was Henry, the old stubborn man who refuse to move into the light. I actually like the secondary characters more than Michael. His character was not that interesting and I find the romance between him and the heroin also not appealing to me. It just didn't work for me. I still find this story an interesting and enjoyable read tho. There were also life lessons from the characters that touched me, like the story of the boy who resorted to suicide because of bullying. That part is a great eye opener as to what extent bullying can do to a person especially to teens who are more prone to being bullied. The story was pretty original and well written. Right from the start I was hooked and had to keep going to find out what would happen. I felt for Ruby, especially towards the end. The end would have turned out very different if she had only made some different choices through the book, but I'm glad it played out the way it did. I thought the premise of this was amazing. It was like a ghost version of the ghost whisperer. All is going great until darkness starts taking her charges. I fell in love with Ruby immediately and love how the author created her world. Even though Ruby was and old soul in a young body this reader identified with her and could understand how she had kept up with modern parlance and fashion. Oh how I would love to be able to shimmer to any location I wanted and to wear whatever I wanted just by thi I thought the premise of this was amazing. It was like a ghost version of the ghost whisperer. All is going great until darkness starts taking her charges. I fell in love with Ruby immediately and love how the author created her world. Even though Ruby was and old soul in a young body this reader identified with her and could understand how she had kept up with modern parlance and fashion. Oh how I would love to be able to shimmer to any location I wanted and to wear whatever I wanted just by thinking it. The male hero was so against his ‘gift’ that it took ages for him to believe Ruby and he was so trusting in his previous partner. You could really understand Michael’s angst and how he perceived that he could be considered crazy for seeing ghosts. (We all know how narrow minded people can be.) The journey Michael went through concerning his ‘gift’ was amazing and had you rooting for his acceptance. There are other, secondary, characters that were equally well written; they had just as much character definition and development as the main characters. I think my favourite was Jennifer who was just amazing and feisty. Some of the ghosts weren’t too bad either. The paranormal love story was also amazingly well done and rang true; even though it is highly unlikely to ever happen but what are dreams for if not for this right. Along with all this positivity, there was also a really good mystery story with twists and turns together with some really rather creepy moments. This book had a good balance of all three elements and made for a really interesting read that hooked me immediately and kept me up until the late morning just reading and reading because I wanted to find out what happened next. I do not normally read paranormal romance but I am so glad that I picked up this novel. It was a wonderful read and a great escape from the real world. I will definitely be on the lookout for more books by this author. Even if this is not your normal genre please read this book you will be so pleased you did. Let me begin by saying that the blurb for this book does not do it justice – at all. Going into this book, I thought it was going to be a typical ghost love story. You know the one – pretty ghost falls head over heels for a handsome young gentleman and they find a way to make it work and they were blissfully happy. This was so not the case with The Medium Path. Yes, there is a love story, but it also has so much more. There is also a mystery that begs to be solved and with this premise the reade Let me begin by saying that the blurb for this book does not do it justice – at all. Going into this book, I thought it was going to be a typical ghost love story. You know the one – pretty ghost falls head over heels for a handsome young gentleman and they find a way to make it work and they were blissfully happy. This was so not the case with The Medium Path. Yes, there is a love story, but it also has so much more. There is also a mystery that begs to be solved and with this premise the reader gets to embark on a ‘spiritual’ journey that will have you on the edge of your seat as the living and the dead come together to put an end to a wretched, vile, and evil woman. Elizabeth Davies is not a new author for me, (in fact her Resurrection trilogy is practically amazing! ), and when she provided this book to me to review, I was beyond thrilled. Ms. Davies has a way a bringing her characters to life and the reader can connect with them and this book was no exception. This book is beautifully written with just enough details for the reader to visualize everything that is going on. In my opinion, this is one of the most interesting paranormal plots that I have read in while. Once I started The Medium Path, it was impossible for me to put it down and I found myself getting lost in the story. It is very captivating and written in a way to draw the reader into a world we can only imagine. The last part of the book was very tense and I found myself holding my breath through several scenes. The ending was unexpected but very satisfying – I guess in a way you can say that it does end in a HEA. With mystery, suspense, paranormal, and ghosts, this book as it all and is a must read for any paranormal fans, especially those who love ghost stories. Ruby Anderson is seventeen years old. Okay, well technically she is 103 years old, but dying at seventeen will see her forever at this age. Her ‘role’ in the afterlife is that of Spirit Guide – she helps recently deceased people cross in to the light. That is until those waiting to cross are sucked in to a darkness instead. With the help of her friends both dead and alive, Ruby sets out to find what or whom is taking the spirits into the darkness, and for what cause. In doing so though, she just may put herself and her friends in danger. "The Medium Path" is a wonderful blend of numerous genres – Romance, thriller, mystery and paranormal all rolled in to one amazing must-read novel. I had an immense warmth for Ruby. This is a young woman who passed from this world far too young, and rather than being taken in to the light, she was chosen to help others reach their final resting place. For 85 years she has been wandering this Earth, unseen by most, and mostly alone. Yet her charm and loving, calming nature were there for each and every one of the newly deceased, and it was her concern for them, that gave her that bravery to find out where the darkness was taking them. I have a few literary heroines that I have fell in love with over the years, and Ruby has just been placed amongst them. Elizabeth Davies has so beautifully written Ruby in a way that you forget that she is a ghost, as she seems and acts so real throughout the entire story. Although she has been wandering the spirit world for 85 years, Ms Davies has kept Ruby as modern as possible, with her choice of clothes and her knowledge of modern technology. As well as Ruby, we have a cast of amusing and entertaining characters. We have numerous other ghosts, and Mediums whom whether they want to or not, can see and hear Ruby and other ghosts. One Medium who hates his ‘gift’ is Michael. He wants nothing more than to be left alone and never see a ghost again, including Ruby. As the story progresses, we watch as she slowly persuades Michael to trust her, as she really needs his help. In doing so though, she starts to have romantic feelings towards him. The chemistry between Ruby and Michael was lovely to watch expand as the book progressed. You really want these two to be together. But a relationship between a human and a ghost would never work, would it? Some of my favourite characters were the newly-deceased people, as each had their own story to tell. From Lucy who was terrified and couldn’t comprehend what has happened to her, to the man who was convinced that his wife was haunting him after she had died, with her constant nagging. He refused to cross in to the light, just in case she was on the other side waiting for him. The story changes directions many times, from the one that you presume it’s going in. It is filled with so many twists and turns that you will be kept entertained and glued to the pages throughout. The ending is just perfect, and one that I hadn’t predicted. "The Medium Path" will have you absorbed from beginning to the end. A fantastic book that I just couldn’t put down. 3.5 stars. Okay I really enjoyed a lot about this story. 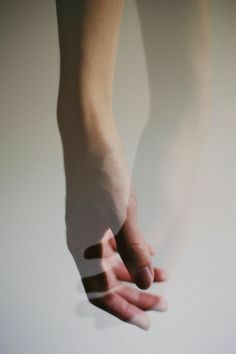 I found the idea of a medium who had passed over and become a spirit guide, someone who guides the recently deceased to where they are supposed to go, very intriguing. Funny enough I have totally been cracking out to the show Medium on Netflix recently, so this book couldn't have come along at a better time. There were many layers to this story, each one interesting in it's own right. It does initially start out a little slower, well maybe slow isn't the right word, more like there was a decent amount of time spent explaining the idea behind spirit guides, what they do, how they came to be, etc. But after you get the detailed rundown the action really takes off, in a few different fun directions. Ruby, the mc and my favorite spirit guide, had been helping lost souls find their way to the light for a very long time. She mostly had it down to an art at this point, with the exception of a few pain in the rear, stubborn spirits who found the ghostly life to be a lot more exhilarating than the mystery of what comes after the light. Well that is until a bizarre darkness starts sneaking in and seizing the spirits before Ruby has a chance to help them get to where they truly belong. Ruby, along with a handful of fellow spirit guides, and a few living mediums, join forces to find these missing spirits and who exactly is behind these abductions. There was also a romance element going on here, which was definitely interesting, especially considering their......extreme differences. I did like the romance here, but it did seem like it went from 0 to 10 rather quickly. It's okay fast romance, it's me, not you. I really enjoyed the spirit guides and I thought a lot of Ruby's dealings with helping the newly dead were definitely highlights in the story! Each person had such an interesting tale to tell, whether it be the way they died, their dealing with being recently deceased, or their plans now that they were no longer living. So all the other stuff that was going on just seemed like added bonuses! I have read quite a few ghost stories, even a few with mediums/psychics but I have to say this may be the first I have read that dealt with all of that but from the other side. It was really neat to get the perspective of someone who had already passed and their take on things. I think people with an interest in ghosts, mediums, or a more suspenseful type of thriller (more mysterious than scary), will quite enjoy this fresh take on this otherworldly stuff. (PureTextuality.com)Over the years, I have read probably more than my share of ghost stories, or books featuring people that see ghosts, or other books of that nature. When I read the synopsis of this book, I was totally in for this read. I received this book from the author in exchange for a fair and honest review. Had Ruby lived, she would have been a hundred and three. As it is, she died when she was eighteen, after a pretty horrible life. Instead of going into the light, now it’s her job as a (PureTextuality.com)Over the years, I have read probably more than my share of ghost stories, or books featuring people that see ghosts, or other books of that nature. When I read the synopsis of this book, I was totally in for this read. I received this book from the author in exchange for a fair and honest review. Had Ruby lived, she would have been a hundred and three. As it is, she died when she was eighteen, after a pretty horrible life. Instead of going into the light, now it’s her job as a spirit guide to persuade ghosts unwilling to go into the light, to do so. She’s lonely, has never been in love, and to top it all off, she has no clue what happens when you go into the light. Makes it kind of hard to get people to do what she wants them to. The story starts out slowly, having Ruby meet a few new ghosts, and having her find a man that sees her. The only people that can see her are mediums. Mediums sometimes end up with her same job, or are able to go into the light. Ruby really wishes she had been able to go into the light-until she met this particular man. Michael knows he can see ghosts, and he really doesn’t want to. He’s engaged, but it’s a rocky relationship due to his affliction. All Ruby knows is that for the first time, she is attracted to a man and can’t stay away. When ghosts start being taken into darkness, instead of light, Michael agrees to help figure out what’s going on. I cared about Ruby as a character, even though she was a bit selfish at times. But the reader can understand that due to her horrible past-and present for that matter. Michael was a good hero in this story, although in the beginning I wasn’t so sure-so he did grow as a character. Always a good thing. There is of course a villain, and I am not naming any names. Readers also get a chance to know a few of the ghosts, and of course other mediums and spirit guides. I had no idea where this book was going-not at any point. The story built slowly, as I said before, and then things really heated up and went directions I had no idea it was going to go. It ended up being a mystery, a romance, and even crossed over into thriller territory at times. I found it a bit weird that Ruby doesn’t have a supervisor, so she can do pretty much anything she wants to, within reason, and she does test that on many occasions. Ruby has lots of questions about what happens after death, and we never really get any answers, but then that would be a completely different book. But it would have been interesting to see the why of everything in the author’s view at least. That was my only problem with the book, and that wasn’t major to the story in any way. Nor did it change my enjoyment of this read. 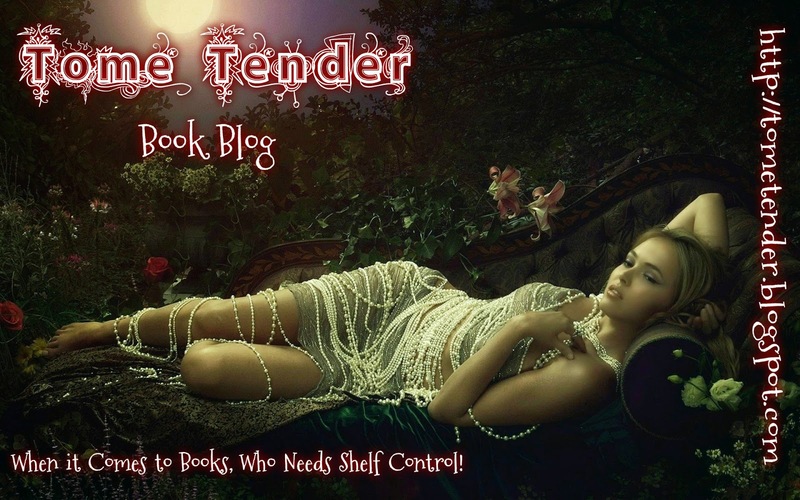 Good characters and good story, and I would recommend it to adult paranormal romance readers. Enjoyable read! Uniquely different romance with a forever HEA...I liked it though, I really liked it. Ruby is a ghost, well, not just a ghost…actually, she’s a spirit guide, but she is indeed dead. She died nearly one hundred years ago after being mistreated and abused as a mental patient in an institution for the insane. She wasn’t insane. She simply could see and talk to ghosts. She was a medium. After dying, she didn’t go into the light as most spirits do but instead, became a member of a group of spirits wh Uniquely different romance with a forever HEA...I liked it though, I really liked it. Ruby is a ghost, well, not just a ghost…actually, she’s a spirit guide, but she is indeed dead. She died nearly one hundred years ago after being mistreated and abused as a mental patient in an institution for the insane. She wasn’t insane. She simply could see and talk to ghosts. She was a medium. After dying, she didn’t go into the light as most spirits do but instead, became a member of a group of spirits who remain in the world to assist and guide the newly dead to understand that they are both dead and need to give their life force to someone still living before going into the light. She can’t help but wonder what happens next just as we, the living, do. She has no idea, and a day doesn’t pass that she doesn’t wish she can go too. Until one day when she meets Michael, now she wishes for more than just going into the light. She wishes to live again so she might know love...with Michael. She quickly learns that Michael is not only a medium as she was when she was alive, but he sees more in her than just a spirit…he sees the woman she was and still is. When she suddenly discovers something strange happening when spirits are supposed to go into the light but instead are enveloped in darkness, she goes to her medium friend, Jennifer, and her fellow spirit guides. Michael is pulled into the circle because he too, can see spirits—Ruby, in particular. Only when she finally discovers the truth of what’s happening, she finds herself trapped by an evil she never expected. THE MEDIUM PATH by Elizabeth Davies is a most unusual romance story. The characters are alive and resilient, even though most of them are dead. Ruby is endearing and at times, heartbreaking because she yearns for so much of life that she missed when actually alive. She envies her friend, Jennifer, her happy life and pregnancy. She yearns to be loved by Michael as a woman and not just a friendly spirit. When an opportunity arises which may allow her to live as a living, breathing woman, she seriously considers taking it, even as others think it is wrong. It begs the reader to consider just what anyone would do for real love. 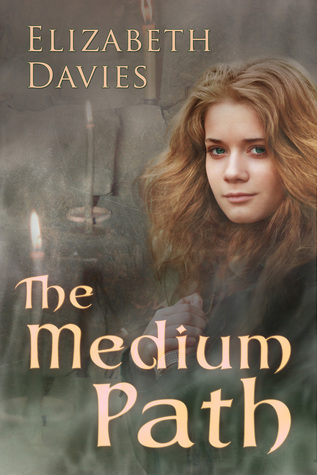 THE MEDIUM PATH by Elizabeth Davies is not your average ghost story, it’s a young woman’s journey to finding her place in eternity, and a chance at love. Unusual, touching, mysterious, and at times a bit scary, THE MEDIUM PATH is an intriguing read that will capture your imagination and your heart. I highly recommend reading this one if you’re a fan of the movie, GHOST, and the television show, GHOST WHISPERER. Yes, this one will touch you like those did. Ghosts are something people can’t seem to agree upon. Many (myself included) don’t doubt their existence for one second, while many are skeptical. I’ve always been interested in ghosts, and the psychic realm…probably because I’m a bit psychic myself (my husband who can never surprise me will attest to this), and when Elizabeth Davies asked if I’d like a free copy of her book The Medium Path in exchange for a review, I quickly accepted. Davies described the book to me as a paranormal romance, and Ghosts are something people can’t seem to agree upon. Many (myself included) don’t doubt their existence for one second, while many are skeptical. I’ve always been interested in ghosts, and the psychic realm…probably because I’m a bit psychic myself (my husband who can never surprise me will attest to this), and when Elizabeth Davies asked if I’d like a free copy of her book The Medium Path in exchange for a review, I quickly accepted. Davies described the book to me as a paranormal romance, and while it is definitely something I would have passed up if I saw it in the store (only because I don’t typically shop in the romance section), I’m so glad I did. Path is about Ruby. A ghost who’s job as a spirit guide keeps her trapped between the physical world and the hereafter. It’s her job to help souls who don’t immediately go into the light cross over. Sometimes it’s easy, but others make it work for her. It’s a pattern she’s used to until suddenly souls start disappearing without crossing over. Ruby and her friends in both the physical and spiritual realms set to work trying to figure out who’s stealing the souls, but Ruby can’t fight her strong feelings for Michael, a Medium who’s helping them while also making Ruby feel alive again for the first time in decades. In a word, I was riveted. Davies has a way with words and crafted a story that was rich that I couldn’t put it down, and when I did….I couldn’t stop thinking about when I could pick it back up again. That being said, while I loved the story…I had a bit of a hard time with the more ‘romantic’ parts….mostly because I couldn’t stop thinking about how odd Michael must have looked being romantically engaged with someone that wasn’t physically there. It’s a minor thing that is a me quirk and should not overpower the fact that this was an extremely entertaining read that left me satisfied and happy I had read it. Ruby is a spirit guide that attends to the dead in order to help them to cross over to the other side. She died at the age of 18 and her body appears to the dead in that form. Now, all people have to cross over but some people refuse to do so and they remain on earth as ghosts. Upon one of her “missions”, she comes across an elderly woman who is dying and meets, Michael, a medium, that can actually see Ruby, and interact with her. Ruby is deeply drawn to Michael but Michael is currently engaged to Rachel and is in a bit of denial about his abilities. Ruby understands what Michael is going through as she had the same thing when she was alive and tries to help Michael understand his ability and their passion for one another. While Ruby is trying to convince one of her ghost to cross over, they start turning into black vapor and disappear. This is starting to happen more and more, and Ruby seeks out an older advisor, Isobel, to see if she has heard of this happening. Isobel and the other advisors and mediums get together, discuss the situation and plan is in place. Suddenly, Ruby it taken into the darkness but is able to figure out what is actually happening to the ghosts. However, being stuck, even for a spiritual guide, is trouble! Does anyone figure out who or what is taking the ghosts? Does Ruby get free of the darkness and finally able to go into the light? What happens to Michael & Rachel? You’ll have to read the book to find out! This book is truly intriguing and keeps you guessing throughout the entire story. It completely held my interest throughout the book. It reminded me a bit of two American movies, Ghost and The Six Sense. Elizabeth Davies has conjured up a brilliantly atmospheric world where human life and the spirit world interact, connect and weave in and out of each other beautifully. With such a great cast of characters, I was really swept up in the spirit’s reality and all-too-human efforts of those of the living, especially Michael and the medium, Jennifer. There are some downright creepy moments, a wonderful love story, a good dose of mystery and suspense, and little touches of humour which make the words sparkle off the page (I LOVED Henry, the cantankerous ghost). I raced to the end as I couldn’t wait to see what happened, and to find out the fate of Ruby and Michael. If you like paranormal romances, you’ll love this book. If, like me, you are new to them, you will also be totally enchanted by this wonderful novel and fall in love with the genre. Oh my goodness. How do I describe, explain this amazing novel to you in a way that will have you clicking over to your favorite retailer and clicking to buy it now so you can discover this magical tale too? Ruby is a spirit guide. Since she’s seen ghosts or spirits all of her life, (before she died herself) it should really be no surprise that she now has the duty and honor of showing them the way into eternity. But there is trouble on the other side. There is something that is dragging spirits into the darkness and Ruby needs help from the human world. Michael is a medium, one who has never been truly comfortable with his gift. Despite all of Ruby’s best efforts it takes a very long time for Michael to accept that he really is in contact with a spirit guide. But once he does the fun begins. There is a fascinating mystery to solve, a fun ghost who can be wearing the latest fashion in a blink (don’t we all wish for that! ), fantastic world building, engaging secondary characters and a true evil to be fought. The romance between Michael and Ruby is believable in this world. And the awakening emotions for Ruby are so enjoyable to experience through her eyes. I truly loved everything about this novel. This is definitely a wonderful story that you need to pick up and get lost in. I won’t spoil it, I’ll just say that I would highly recommend The Medium Path to anyone who loves a good mystery, paranormal, love story and can just set aside belief for a moment and fall into this delightful story. I cannot say enough about Elizabeth Davies’s amazing ability to create and tell a story that allows one’s imagination to take hold; allowing us to see, feel, even smell what she describes. I have enjoyed each of her books and can now say that I do not have a favorite only another author to add to my favorite list. The Medium Path is a paranormal tale filled with romance, suspense and a most anticipated, well deserved happily ever after. Ruby is a spirit guide tasked with assisting lost souls to I cannot say enough about Elizabeth Davies’s amazing ability to create and tell a story that allows one’s imagination to take hold; allowing us to see, feel, even smell what she describes. I have enjoyed each of her books and can now say that I do not have a favorite only another author to add to my favorite list. The Medium Path is a paranormal tale filled with romance, suspense and a most anticipated, well deserved happily ever after. Ruby is a spirit guide tasked with assisting lost souls to share their life force so they can go into the light. Only 18 when she became a spirit guide and now over 100 years old she is feeling the pains of having such a short life – never having experienced love, motherhood, etc… She really has no idea what she missed out on until she meets Michael. Michael is a medium with no desire to see or communicate with ghosts until Ruby enters his life. He can’t get rid of her and soon realizes he doesn’t want to. The two become closer as they work to discover the person behind the darkness that is stealing ghosts and their life forces. 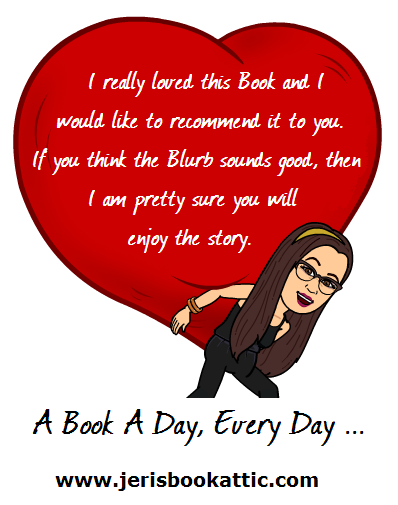 I can say no more – but oh, the tangled webs – so many that created the perfect web that would not let me go until I had finished the book in one day! I love when authors mention or bring back characters from previous books and Ms Davies did this with some of my favorites from The Spirit Guide. You do not have to read that one to enjoy this one, but if you haven’t I encourage you to do so. I can honestly say I have never read a book quite like this. It is very unique. It isn't the normal ghost, spirit, I see dead people type of book. It tells a story. It tells her story. Ruby, who is a spirit guide. She helps the ones who need help to cross over. She helps many in the book. Some of the stories were sad, others a bit on the funny side. This book really grabbed me. It had me on page 1 and wouldn't let me go. It was written well and really opened my eyes to what could be possible afte I can honestly say I have never read a book quite like this. It is very unique. It isn't the normal ghost, spirit, I see dead people type of book. It tells a story. It tells her story. Ruby, who is a spirit guide. She helps the ones who need help to cross over. She helps many in the book. Some of the stories were sad, others a bit on the funny side. This book really grabbed me. It had me on page 1 and wouldn't let me go. It was written well and really opened my eyes to what could be possible after death. It was equal parts sad and happy. I caught myself feeling so much pain for Ruby and the others in the book. Sometimes a reader comes across a book that touches their souls and heart and this was one of those books for me. It is a work fiction, but at the same time what if some is truth? Do we REALLY know what happens when we die? I think the best part in the book is the ending. I was not expecting it, but am so glad it ended the way it did. I’m not a big paranormal romance reader. For some reason, I just have a harder time getting into the stories. I have a hard time identifying with romances with non-human characters. I do like variety in my reading, though, so when the author asked if I would be willing to read and review The Medium Path, I said yes. I’m really glad I did. The story grabbed me from the beginning. It was a really different ghost story. The concept of the spirit guide intrigued me. I liked how the spirit world was s I’m not a big paranormal romance reader. For some reason, I just have a harder time getting into the stories. I have a hard time identifying with romances with non-human characters. I do like variety in my reading, though, so when the author asked if I would be willing to read and review The Medium Path, I said yes. I’m really glad I did. The story grabbed me from the beginning. It was a really different ghost story. The concept of the spirit guide intrigued me. I liked how the spirit world was set up and the twists in the story were excellent. The only thing I didn’t really care for in the story was the Ruby-Michael aspect. To be honest, it was the fact that Ruby was a ghost and Michael was a human. It’s definitely the having trouble connecting with the non-human character thing in this one. There were just a couple parts that weirded me out. That’s it. Otherwise, I loved the story. Ok I planned on sleeping last night (an hour ago) however I couldn't stop wondering how it'd all turn out. I don't want to give anything away, it's better when your surprised, but I HAVE to say SOMETHING. The last few chapters were heart stopping. I gasped so often I woke my dog. (He's not thrilled, but then be can't read so I expect him to be grumpy) This is a terrific follow up to The Spirit Guide, it can be read as a stand alone, but will be so much richer, like dark chocolate, if read together. Ms. Davies gets better with every tale told. If you like these two, get your hands on The Grace trilogy by this author, you won't be sorry. I can not think of a better way to spend 5 hours in 20 mins. I wasn’t sure what to expect with this book. A ghost book? Really, how different can it be? Well it was different and had lost of plot twists and turns. Ruby is a spirit guide, she is there to help souls cross over. Then one day, instead of a soul going into the light it’s absorbed by a dark shadow. Ruby and her fellow spirit guides, ghosts, and mediums vow to find out what’s going on. Only Isobel, one of the oldest spirit guides has seen this before, centuries ago. But it could be the same. Cou I wasn’t sure what to expect with this book. A ghost book? Really, how different can it be? Well it was different and had lost of plot twists and turns. Ruby is a spirit guide, she is there to help souls cross over. Then one day, instead of a soul going into the light it’s absorbed by a dark shadow. Ruby and her fellow spirit guides, ghosts, and mediums vow to find out what’s going on. Only Isobel, one of the oldest spirit guides has seen this before, centuries ago. But it could be the same. Could it? While working with the mediums, Ruby falls for a mortal, Michael. But how can spirit guide and a mortal have a future? They can’t. Plain and simple. Elizabeth Davies weaves another brilliant story that will sweep you in and keep you guess who done it? She sprinkled in some romance, but the plot full of twists and turns will keep you riveted to the book. Turning page after page, until you are done and wondering where your day has gone!! I was given this book in place of an honest review. Alright so when I picked up this it engrossed me immediately, which is rare for ghost books. Howeve I was given this book in place of an honest review. I loved this book and couldn't put it down. The author, Elizabeth Davies, is now a must follow author for me. I can't wait to see what she comes up with next. The book was imaginative and amazing. It took me to a place in the paranormal genre that no other author has managed. It's a must read for fiction lovers. I was provided a copy of this book by the author for my honest review. I loved this book. Ms. Davies has given us a story rich in plot, character, and atmosphere. The characters of Ruby, Michael, and supporting cast were intriguing and well developed. The plot had twists and turns I didn't anticipate. The setting wove "normal" people, mediums, and spirits together in a rich tapestry. I have no hesitation in recommending this book. Amazing story involving the spirit world. Descriptions are so beautifully wrote that you feel part of the story. The characters draw you in as much as the story itself. I adored this book. I read the The Spirit Guide and I loved it, and I liked that both of the books tied in. This book was fantastic, and I will always be a fan of Davies. She is one of my favorite authors. If you'd like to try one of her books, head to http://elizabethdavies.wix.com/free-o... for your FREE copy of The Spirit Guide.